Ohm's law breaks down into the basic equation: Voltage = Current x Resistance. Current is generally measured in amps, and resistance in ohms. 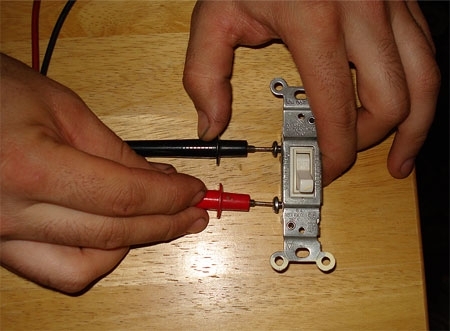 Testing the resistance on an electrical circuit in your home or car can help you diagnose problems with that circuit. 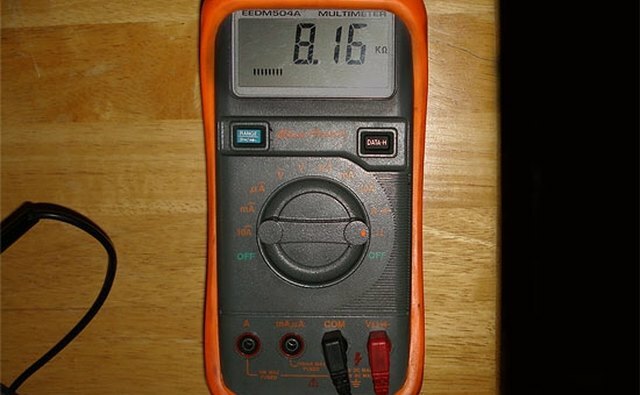 You can use a simple ohmmeter for this task, but most professionals now use the ohmmeter function of a multimeter (also called multitester or VOM, for volt/ohmmeter). 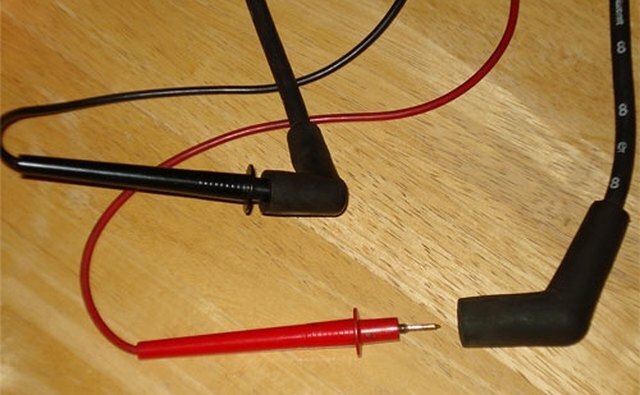 Read on for instructions on how to use an ohmmeter and test for resistance. Disconnect completely and/or turn OFF all power to the circuit you are testing. 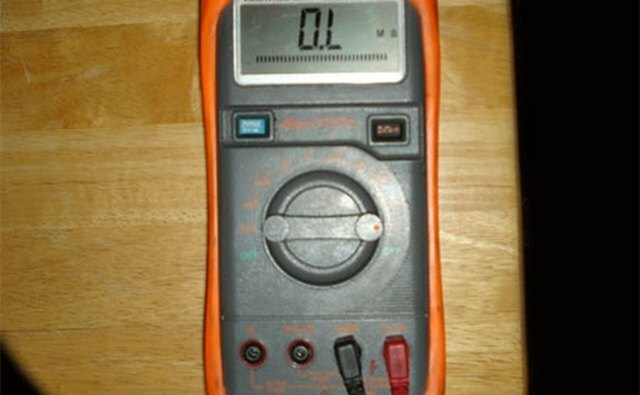 You must have a completely dead wire or circuit in order to ensure accuracy in measurement, as well as your own safety. Your ohmmeter will supply the voltage and current for your circuit so NO other power is necessary. 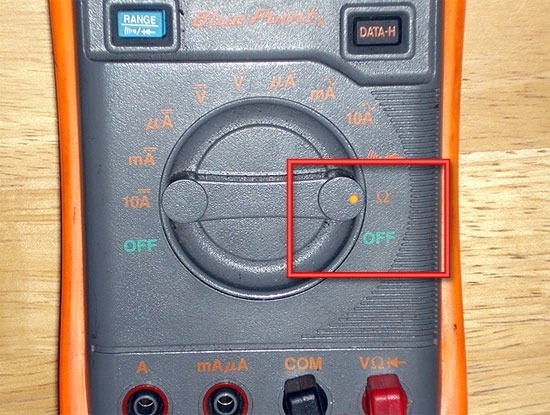 As the instructions for our Blue Point volt/ohmmeter state, testing a powered circuit can "cause damage to the meter, circuit, and *you*." Consult a service manual for the normal range of resistance for the circuit you are testing. 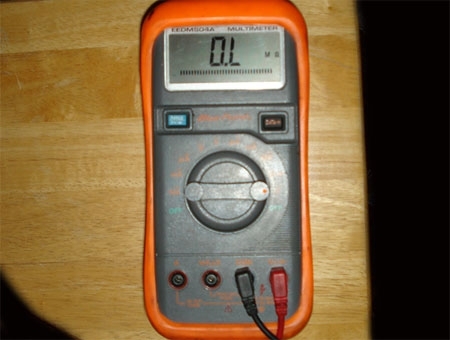 Set the dial to the "ohms (Ω)" setting with a multimeter. (See highlighted red square in image.) 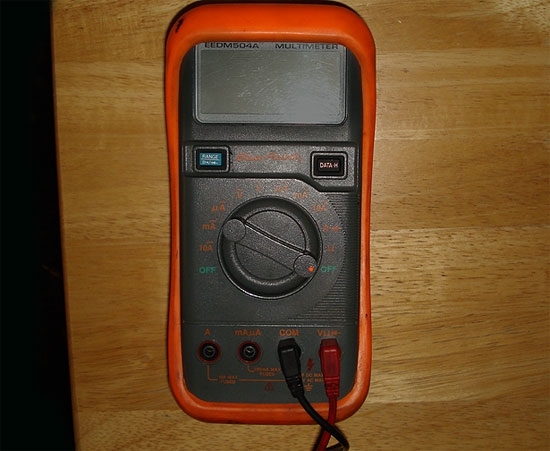 On an individual ohmmeter, you may have to set a range for the readings, in ohms, kilohms or megohms. 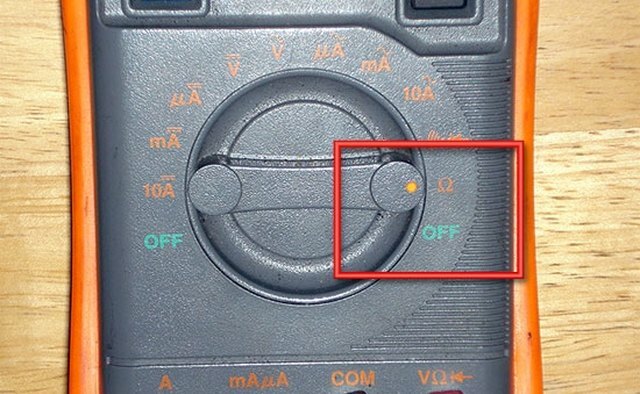 Use the range you located in your service manual to set the dial. Note in this picture we're testing a set of plug wires. Connect the ohmmeter wires to the plug wires, metal to metal. It doesn't matter which wire goes to which end; the test will work either way. Check the ohmmeter reading and see if it falls in the range listed in your service manual. 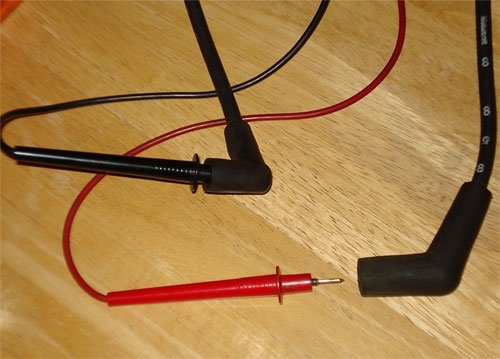 Plug wires have a set resistance. Note in this picture we're testing a light switch. Place the wires on the connectors that normally link the switch to the house wires. Know that a reading of OL means "over limit." That means the resistance is off the charts, and you have a break in the circuit. If you got an OL reading for the plug wires, you'd know there was a broken wire that needs replacing. In this case, we got an OL reading because the light switch is in the "OFF" position. Consider that a low reading, anywhere from 0 to .5, indicates very little to no resistance. This means there's a continuity of current in the circuit. This is the reading you should get when the light switch is in the "ON" position. 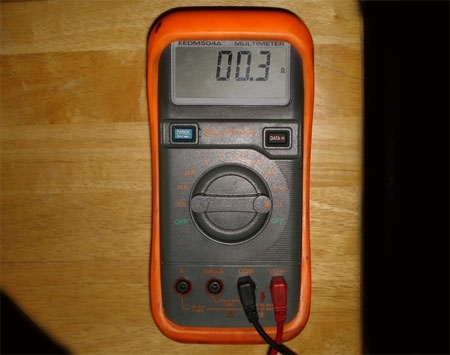 Test any circuit with your ohmmeter. Remember that "over limit (OL)" means there's too much resistance and a break in the wire somewhere. A near-zero reading indicates no resistance and smooth-flowing current. In circuits like plug wires where a set range of resistance is necessary for them to work properly, any reading other than the proper range indicates bad wires that need to be replaced. 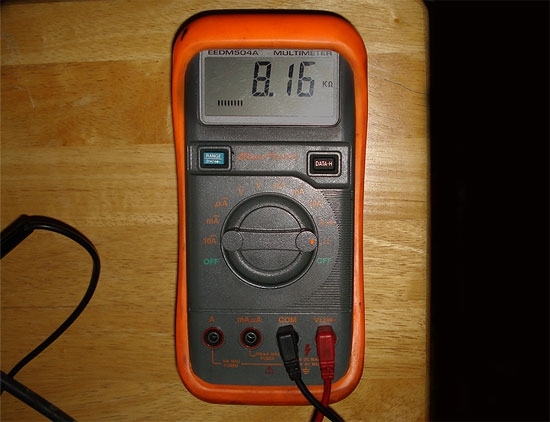 A digital volt/ohmmeter (DVOM) is your best bet for a highly accurate, multi-use tool. Once again, remove ALL power from the circuit BEFORE testing. 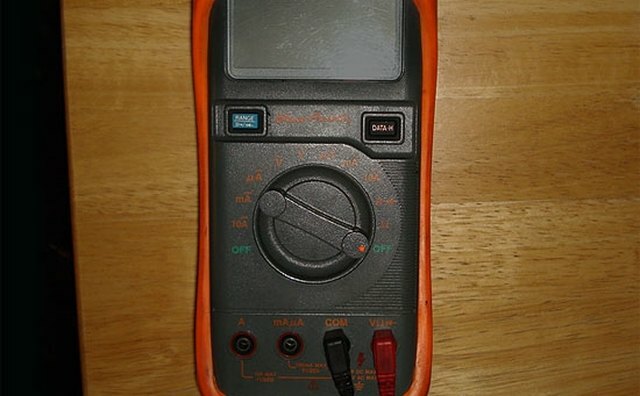 Connection to a power source can cause harm to the ohmmeter, the circuit and YOU. Photos c2008 by Valerie David.